In this second part I will present you how to choose the right mineral makeup brush.On the market there are many different mineral makeup brands that offer a variety of makeup brushes. If you are attached to one brand of minerals that offer also brushes, you can obviously purchase brushes from them. This is not necessarily the best option. I’d suggest you to check and invest in good quality brushes that will last a long time, if you will properly take care of them. 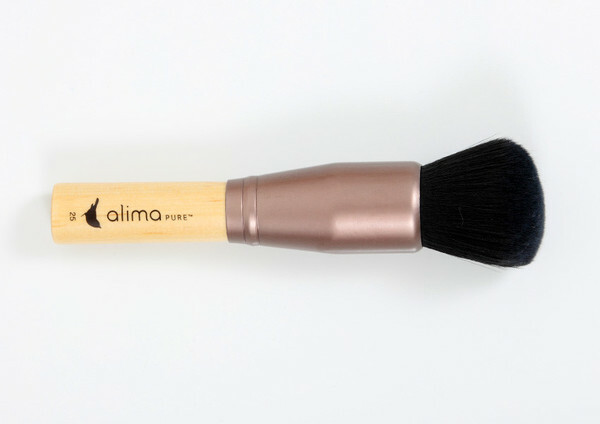 Most often mineral makeup brushes are cruelty free. That means they are made with synthetic fibers. Not every brand of minerals offer synthetic brushes, so take a look to the detailed description if you want to purchase cruelty free brushes. Because of these reasons mineral brushes have a high density of fibers, they are firmer and they should be soft. The main task of mineral brushes is to distribute evenly the powder, so that you won’t look like wearing a mask. The makeup has to be natural, flawless and distributed evenly. is the only brush that is quite different from liquid foundation brushes. Usually mineral foundation brushes are quite large, so that you have more control when applying powders and achieving an even layer of foundation. However, you also have to choose the right brush for you face. 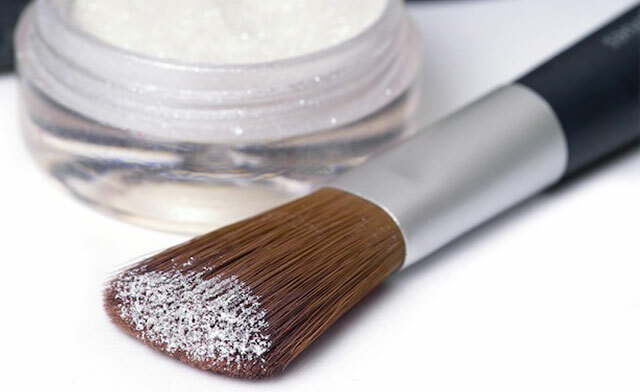 There is no special rule to say that just one type of brush is good for applying mineral makeup. There is a huge choice of brushes, so take a look and choose the brush that suits your hand and face. Some prefer short handles like kabuki brush, other are more comfortable with long handles. The brush should have dense fibers, but if you prefer a tapered brush instead of a flat one, go for it! With tapered shapes you can reach corners and spaces around the nose, under the eye,… With a flat and large brush you can blend and buff quicker and better. This is good when you don’t have much concealing. A flawless complexion is achieved just in a few circular motions. 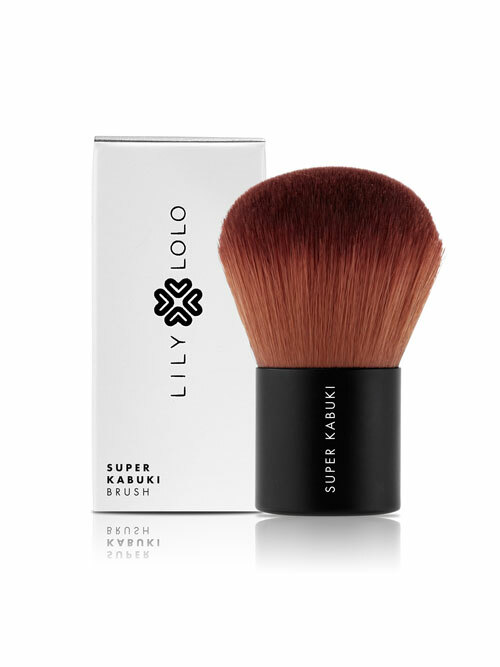 Among most popular mineral foundation brushes are kabuki brushes. Kabuki brush derives from the Japanese culture/theatre. They have a short handle and a very large form with a lot of bristles. I also like the kabuki for applying bronzer on the body. Other mineral foundation brushes come in a form that is flat or oval shaped on top, with a high density of fibers. This way buffing and blending become very easy. Almost every brand of mineral makeup provides an entire collection of brushes for eyes, cheeks and lips that you can use also with other products, not just minerals. Their shape is the same as other cosmetic brushes. 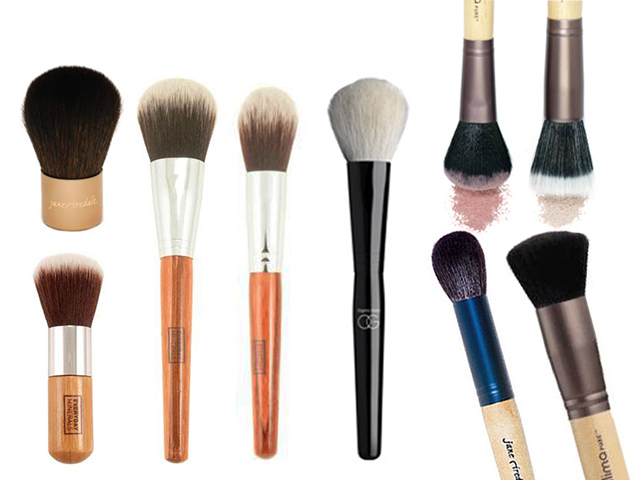 There is no difference in choosing special brushes for mineral eyeshadow, blush or concealer. The most important is to choose a good selection of brushes that will suit your needs and last long time. There is another type of mineral foundation application; with a sponge, even though I don’t prefer it. Instead, when I finish, I tap the face with a damp brush or sponge to set the makeup and refresh the face. This way the makeup seems also more natural cause it becomes one with the skin. That’s all about mineral makeup brushes for now. I will surely write more about other makeup brushes in the future; they are really my passion and obsession. If you have any questions about minerals or brushes, please let me know. After the first, more theoretic part about mineral makeup, it’s time to explain you some of my best advices on applying mineral makeup. If you will follow these simple steps, you can’t go wrong. Don’t be afraid to start using minerals, just because the application is slightly different from conventional makeup application. Using mineral powders is really simple and with time you will realize that is also very quick and handy. Moreover, your skin will breathe and you will feel comfortable wearing mineral makeup, because of its lightweight consistency. Some women complain about a caked, unnatural and heavy look. This might happen just in case the makeup is not properly applied. My experiences with minerals are really excellent! One of the biggest mistakes I notice before applying makeup is that women don’t know very well their skin condition. Many times for example younger girls tend to think that their skin is grease, when in fact it isn’t. Consequently they use wrong skin care products that dry their skin even more. They proceed with makeup that also don’t match their skin type and the result is obviously a disaster. 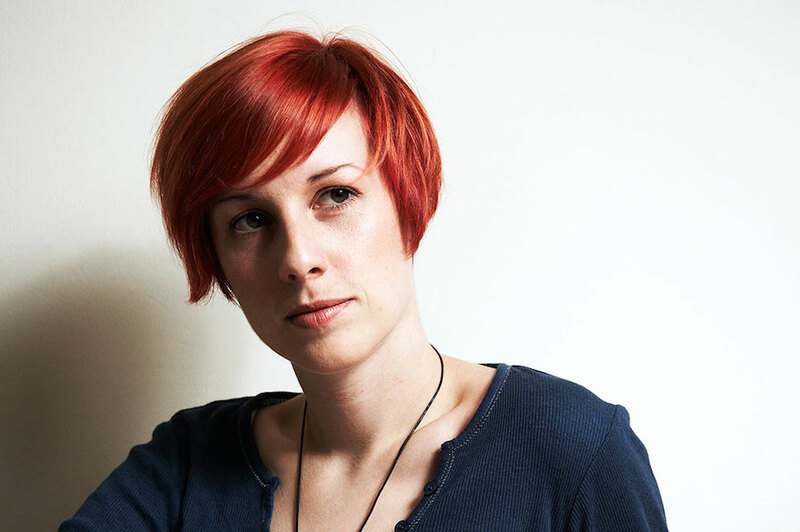 In every case, you should first analyze your skin well (or ask a professional for help). Most often it needs just a gentle exfoliation and a hydrating boost. Before I start applying the mineral foundation, I first clean the skin and apply a light organic oil for all skin types (in general for normal skin). I leave it a few minutes until absorbed into the skin. If needed, I remove the excess of oil from skin with a blotting paper. But usually, all you need is just 2 drops of these oils and they work great, without leaving the skin with a grease shine. I especially like the Inlight organic daily face oil. After this I start applying the mineral foundation. 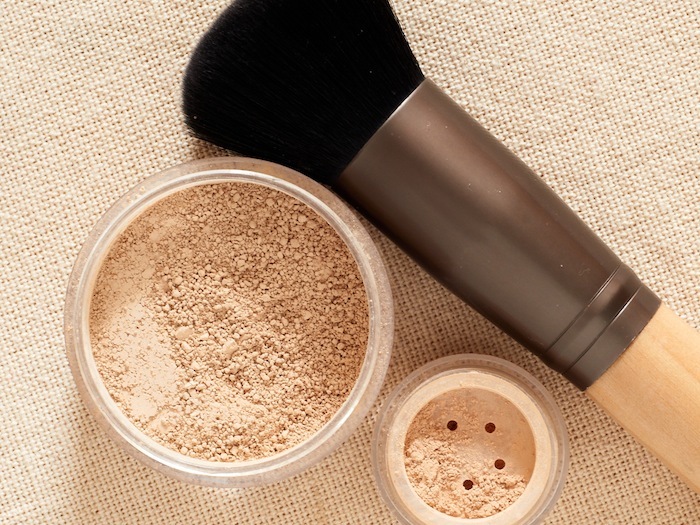 You’ve heard most of time about and I will repeat it, too: Minerals are NOT like the finishing powder in conventional makeup. You can use just one product (mineral foundation) instead of many others (liquid foundation, concealer, finishing powder,…) if you want. For any other imperfections there is a wide range of mineral correctors and other finishing powders. But that’s another story. 7. I finish with a refreshing spritz of an appropriate herbal toner or water. Here I finish the first part and look forward for your questions about the topic until the second part.